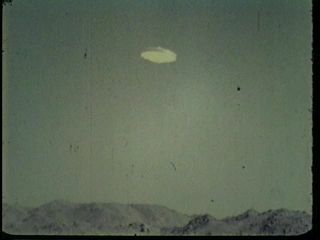 I contacted Timothy Good and got a copy of the film and managed to dig up an original of Daniel’s “Saucers Unlimited” 16mm film which also contained footage of Daniel’s 1964 Oregon UFO. Both are now available on a single DVD, for sale on the Multimedia page. 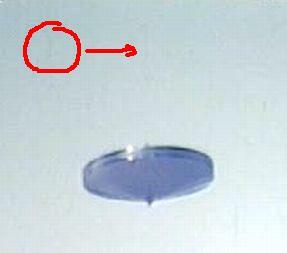 After studying the footage closely, it is clear the UFO(s) are fake. The first thing to note is that the second clip is slowed down. 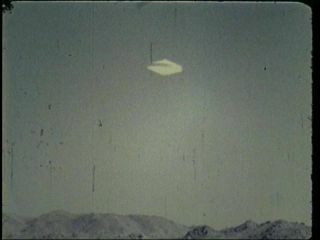 If you watch both clips side by side, compare the speed at which the noise, those black dots and streaks, appear on the screen. It is clear this second clip has been slowed down. 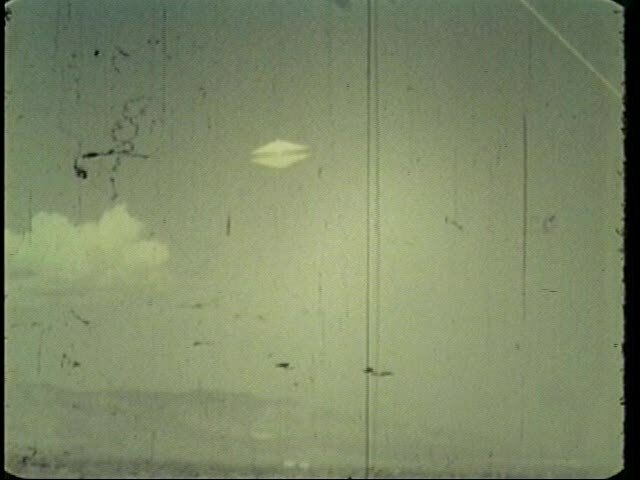 The second clip also makes something else apparent about both clips – each UFO clip is a film of a film. If you look at the top right of the second clip as it plays, you can see a bent corner and then the second camera is moved down slightly to hide the top right corner of film being filmed (which revels the bottom). Below, I have put two screenshots next to each other, the first is before the camera is moved down and the second after. Notice the top right corner, clearly visible in the left side “before” shot and missing in the right side “after” shot. The bottom is now curved in the “after” shot. See the white bar in the top right? It is not noise or a cloud. Conclusion: Having seen the original films, it is pretty clear they were faked.